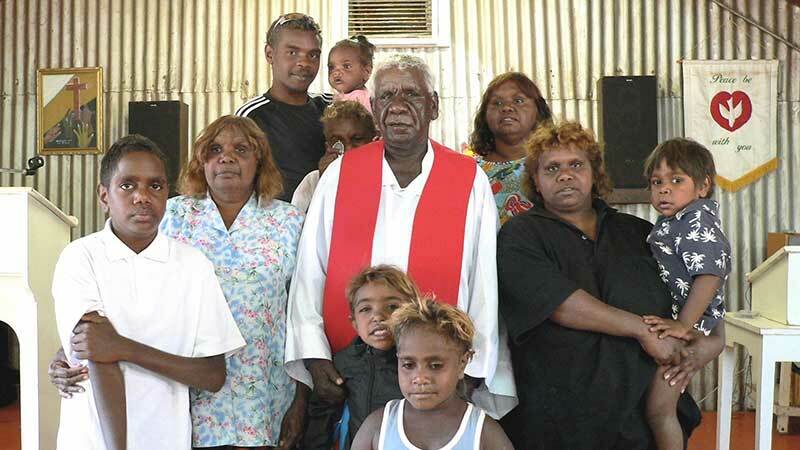 Pastor Charlie Cornelius Chirrup was born in 1948 at Pitarulu, south of Docker River. His father was Munbungar (Joseph Kunia, born 1916) and his mother was Mitjina (Lucy Punkala, born 1931). His brothers were Paul, Prossie, Ted and Frank, and he had one sister, Jean. Charlie’s Aboriginal name was Tjalyitjarra. When government workers gave him a census name in the 1960s, they must have thought his name sounded like ‘Charlie Chirrup’. The name ‘Cornelius’ was given to him when he was baptised and confirmed by Pastors Leo Tjukintja, Theo Windy and Davey Inkamala in the early 1980s at Docker River. Charlie served his community of Docker River as a board member of Nyangatjatjara Secondary College (he travelled to Canberra to help raise the initial funding to build the college) and community councillor for many years until his first wife died in the 1990s. He then moved to Areyonga. Charlie began attending Finke River Mission pastors courses from 1999, and immediately began work as an evangelist at Areyonga and also in Alice Springs. He was trained by Pastor Norman Wurst when he came into Alice Springs and later by Pastors Djala Andrews, Paul Eckert (and later Robert Borgas) out at Areyonga. 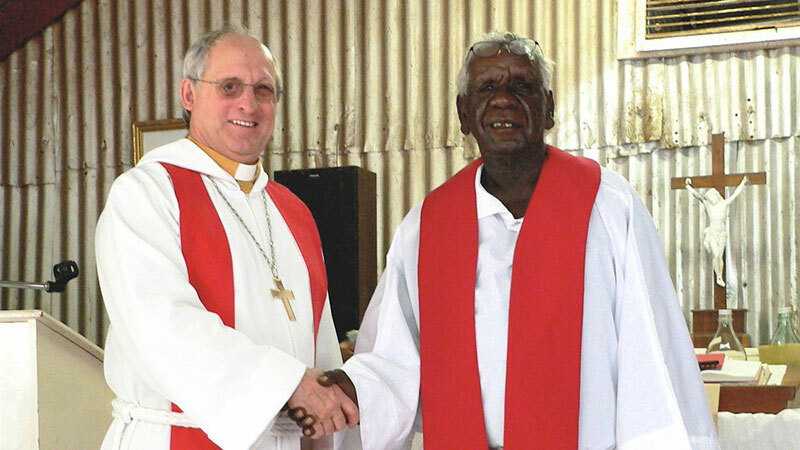 Charlie was ordained on 20 April 2008 at Areyonga, where he faithfully served God’s people (along with Daphne Puntjina) until his death on 28 August 2018. Charlie is survived by his second wife Valerie Morris (whom he married in 2003) and his children to his first wife: Joy, Noeline, Selina and adopted son Ricardi.